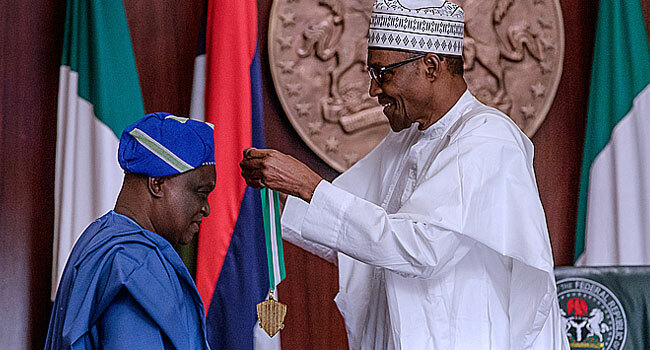 President Muhammadu Buhari has conferred the 2018 Nigerian National Order of Merit (NNOM) Award on Professor Olu Obafemi. 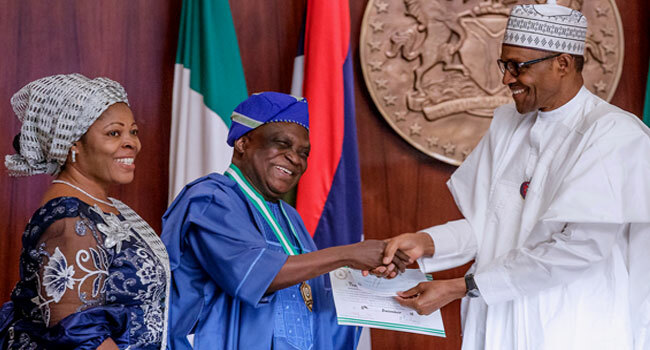 The President conferred the award on the University don on Thursday at the State House Council Chambers. The ceremony was witnessed by family members of the award recipient, executive council members, members of the NNOM governing board and past recipients. Obafemi is a professor of English at the University of Ilorin (UNILORIN) and President, Nigerian Academy of Letters (NAL). NNOM is the highest national academic award. 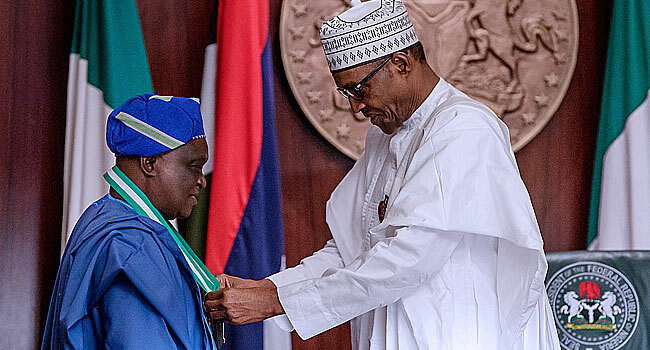 It is an academic award conferred on distinguished academicians and intellectuals who have made outstanding contributions to the academic, growth and development of Nigeria. Professor Obafemi is the 76th recipient since it establishment 39 years ago.